As a school recruiter or hiring manager, how do you connect with new teachers? What makes them care about your school and want to work there? What sets your school apart from the rest? These questions focus on the branding and story of your school, which can have a huge impact on teacher recruitment. Having a clear and consistent brand can help in building school partnerships with universities and colleges. These partnerships are important in developing a consistent teacher pipeline — sourcing new teachers to hire by building awareness about your school. Below are key tips from Mal Davis, Selected’s Director of School Support and Outreach, on how to effectively develop these school partnerships. Potential teachers will most likely be open to your opportunities if you focus on recruiting from local universities. Spread your school name to these local universities to create an ongoing partnership with them. Send your current teachers to on-campus events at their alma maters and use their connections to build awareness of your brand even further. Teacher panels and hiring fairs are great ways for your teachers to share their experiences working at your school and highlighting what makes your culture unique. To increase participation and engagement from your teachers, instead of adding another task to their to-do list, carve out time during the week to prioritize and build partnerships. Using your school’s campus is a great way to sell to university students and professors. This is an excellent way to get buy-in from professors and deans while giving potential teachers a first-hand look at what you have to offer. A second entry-point would be the education departments at these universities. These Departments work closely with students throughout the duration of their programs. However, it is usually very difficult to connect with the students directly, so you will need a point person at these Departments. Directors of Field Placement are good options because they are usually the professors with the last touchpoint with students before graduation, and work directly with certified teachers and teachers that are well into the certification process. Deans of Education are also great options because they have the trust of the students and professors, work with students across all education disciplines, and are usually the point person to help with on-campus events directed at education students. Building partnerships is resource-intensive and takes time. However, partnerships are a critical asset for your school to access and hire quality, new teachers. If you don’t have the resources or need to shortcut the process, consider becoming a Selected School Partner — you get instant access to our network! We have strong relationships with more than 20 graduate schools of education and education associations in the Northeast and continue to build more. Visit our website to learn more. Selected helps teachers find jobs at schools they love. 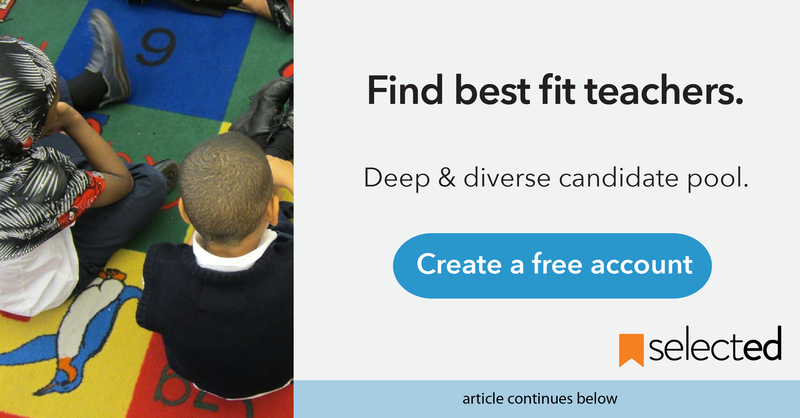 We offer a free school matching and career support platform for teachers that connects them with 1,100+ PK-12 public and independent schools in urban metro areas in the Northeast and West Coast, including New York City, NJ, CT, Philadelphia, Washington DC, Boston, and Los Angeles. Make a FREE profile and start speaking with hiring schools immediately! Mal Davis is currently the Director of School Support & Outreach at Selected, and is primarily responsible for building and strengthening Selected's school partnerships. — what to expect, how to prepare, and proceed to getting a teaching job offer. Tips to create and improve the best teacher resume possible. Check for common mistakes made by job-seeking teachers and prioritize info that school hiring managers are looking for.